Hey Guys, I hope this is proper use of this section of the forum. I'm new here, but have done many deals over on the gearpage. Washburn G10-V electric guitar in black finish. Modded with original Ibanez Edge (Floyd Rose) tremelo, and Dimarzio/Ibanez F2 Humbucker in the bridge (pro work by an old friend at the Ibanez custom shop). Black boo boo screws to hide the former wonderbar tremelo mount. Ash body with bolt-on maple neck and rosewood fingerboard. Classic 80's hockey stick headstock from mid 80's MIJ era. 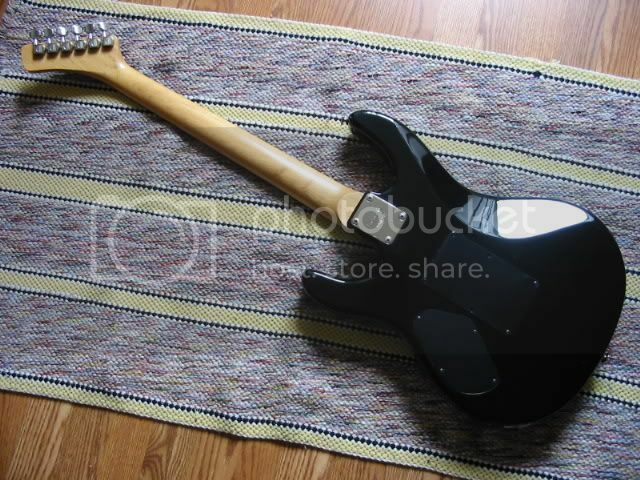 The body has some nicks and dings, but this doesn't affect playability. 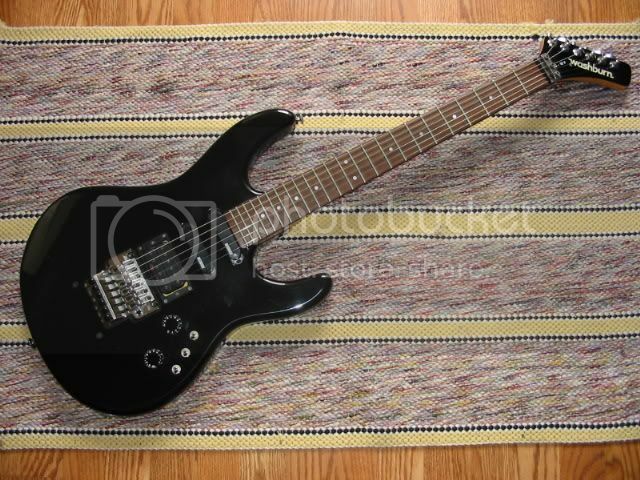 Includes original hardshell case and whammy bar. I'm located in Central NJ.